All types of drivers, young and old, picture themselves zooming along in a pickup truck. Unfortunately, these vehicles tend to be on the pricier side, so many potential car buyers find that they can’t fit the purchase into their budgets. Well, they may not necessarily be able to fit a new pickup into their budget, but they could certainly pursue a used truck. There is a variety of incentives for pursuing a used pickup, led by the obvious financial benefits. If you are going to pursue a used pickup, there’s really no better choice than Chevy’s two current truck offerings: the Silverado and the Colorado. The pair of pickups have proven their reliability over the years, and their capabilities and amenities make them a logical option, regardless of whether they’ve previously been driven. A Chevy pickup truck isn’t an unrealistic option. By pursuing a used model, a customer can truly appreciate all that the nameplate’s products have to offer. If you’re seeking a ‘used Chevy truck,’ you may want to limit your search. You could be referring to a classic 1970s Chevy C/K, or perhaps you’re seeking a mid-2000s Chevy Avalanche. If you’re truly seeking the best bang for your buck, it’s usually a good idea to pursue a recent-year model from Chevy’s current pickup offerings: the Silverado and the Colorado. This pair of pickups offer plenty of muscle via their capable engines, so drivers can rely on their used truck for towing trailers and overcoming tough terrain. The interior and exterior stylings and amenities are as modern as you can get, and there’s an array of safety features that will keep all of the occupants safe and secure. 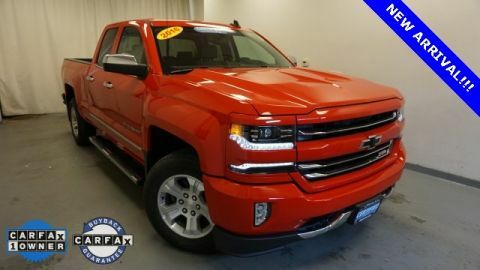 You shouldn’t be scared away from pursuing any of Chevy’s retired models, but if you really want to maximize your budget, it’s in your best interest to pursue a Silverado or an Colorado. Chevy’s premier truck nameplate had another successful year in 2015. 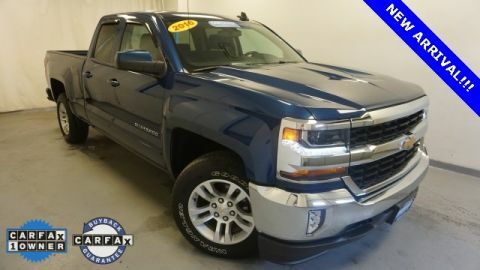 Due to it’s powerful (but efficient) engines, technological features, and excellent cargo volume, drivers can expect the best from a used Silverado. The standard 4.3-liter V6 engine offers the power that’s often reserved for large work trucks, including 285 horsepower and 305 pounds-feet of torque. Even though the hulking vehicle can pump out all of that muscle, the flex-fuel makes it a surprisingly efficient option. Drivers can expect an 18 city/24 highway mile per gallon efficiency, numbers that are usually reserved for much smaller rides. The vehicle includes a number of technological amenities, whether intended for entertainment or safety. The touch-screen infotainment center provides access to maps or music, and drivers can appreciate their preferred jams via the four-speaker sound system. Safety amenities like stability control, traction control, and four-wheel antilock brakes make for a secure driving experience. Of course, drivers are probably pursuing a pickup for two of its primary attributes: cargo volume and hauling ability. Well, owners will appreciate the 2015 Silverado’s 61-cubic-feet of cargo volume, an ample amount of space to store equipment. They’ll also appreciate the 9,400-pound towing capacity, allowing them to tow a small trailer or whatever equipment they deem necessary. This midsize pickup, particularly the 2015 model year, differs from your traditional truck. For starters, the 2.5-liter I-4 and 3.6-liter V6 engines are incredibly efficient, with the former pumping out a 27 highway mile per gallon efficiency and the latter delivering a 26 highway mpg efficiency. The units are also plenty powerful, and drivers can even expect a 7,000-pound towing capacity via the 3.6-liter V6 (thanks to the accompanying six-speed automatic transmission). The exterior is as rugged as any customer could imagine, with the athleticism partly attributed to the high-strength steel body. The available GearOn storage system (which may automatically be included in your used Colorado) allows you to organize all of your truck bed’s cargo, while the available assist steps and tow hooks add maximum convenience. The interior is just as stylish as the exterior, featuring the eight-inch MyLink color touch-screen. This unit allows access to a variety of applications, including the rear vision camera. Thanks to the driver’s ability to see the happenings around the entire vehicle, they can better avoid any minor fender benders or accidents. There are plenty of incentives to pursuing a used pickup. First and foremost is the financial investment that accompanies this purchase. Used vehicles are understandably more affordable than new vehicles, and you could find significant savings on vehicles that are only a year or two old. Plus, you may not necessarily feel the same precious attachment to your used vehicle, so you won’t be distracted by potential bruises or scrapes. As a result, you can unlock all of your truck’s capabilities (as opposed to holding back). The Colorado and the Silverado are among the most affordable pickups on the market, but even a $20,000 MSRP may fall outside a customer’s allotted budget. Therefore, it may be in their best interest to pursue a used version of these two beloved trucks. The used vehicle will predictably be more affordable than a new version, even if you settle for a 2015 model. Plus, while you’d normally have to pay extra for premium amenities or capabilities, you may find that these particular features won’t even be accounted for on the price of a used truck. Of course, it’s important to understand how much money each of these particular versions demand. While you obviously won’t pay close to the starting price for a used truck, you still may find yourself settling into a bad deal. As with all vehicle purchases, do your research ahead of time. Are you going to be relying on your used Chevy truck for the worksite? Luckily, you don’t have to worry about a pricey new toy getting dinged up by equipment or dirtied by worksite grime. Assuming your used pickup wasn’t pristine to begin with, you shouldn’t be as worried about compromising the looks of your used Chevy pickup. After all, the vehicle will likely have little resell value when you’re through with it. Furthermore, by focusing on minor bumps and bruises, drivers may be holding back, thus losing out on all that these pickups have to offer. In fact, even if you already have a capable commuter car, we’d still suggest a used Chevy truck for those working a laborious job. The vehicle is the perfect accompaniment for the worksite, and the investment will certainly pay itself off in the long run. With all of the used pickup options, you may be wondering why the Chevy Colorado and the Chevy Silverado stand out from the pack. There are several reasons why Chevy’s pickups are the premier options among current trucks, and we’re not even talking about the incredible value (which still plays a significant role in the used market). These two pickups have consistently earned high safety scores, an appreciated attribute that often goes overlooked. The two trucks have also proven to be solidly reliable, so even though you pursued a used truck, that doesn’t mean the vehicle will suddenly call it quits after several years on the road. The Silverado has consistently been regarded as one of the safest pickups on the road, indicative of the consistently high scores from the National Highway Traffic Safety Administration and the Insurance Institute for Highway Safety. These accolades could be attributed to a number of different features, whether they be the stability control, traction control, or four-wheel antilock braking system. Dating back to the debut of the Colorado’s second generation in 2012, the pickup has earned at least a four-star rating from the NHTSA. An extensive tire monitoring system assures that drivers can always be aware of their vehicle’s condition, while the engine immobilizer increases efficiency and also improves the unit’s longevity and health. 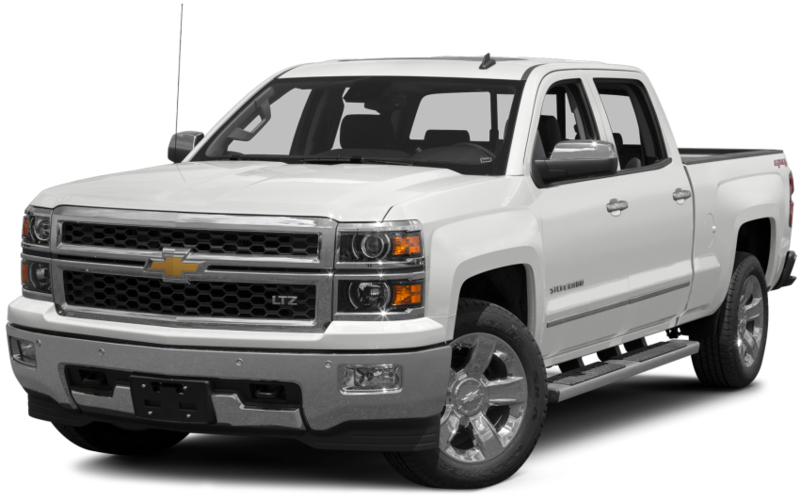 Both the Silverado and Colorado have proven to be generally reliable options, an especially important attribute for used vehicles. The Silverado’s exterior design successfully withstands the test of time, as does the interior quality. While a used Chevy pickup is the logical option, where should you make that purchase? 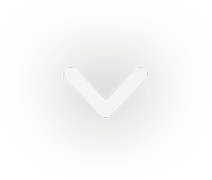 If you live in the Albany, New York area, your best bet is at DePaula Chevrolet. 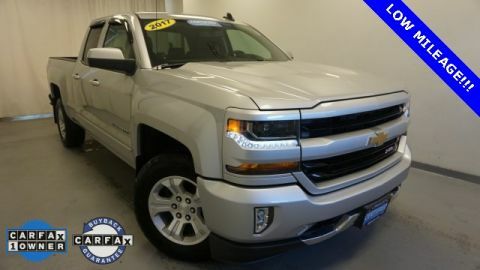 The dealership offers a number of used and new Chevy pickups, so you’ll be able to find a particular model that fits all of your desires. Plus, DePaula is truly your one-stop-shop for all of your Chevy needs. The finance department’s knowledgeable staff will work with you on a reasonable payment plan, and the service department is ready to remedy any repairs. DePaula is the perfect dealership to make your used pickup purchase.